Here is the figure of Mazda2 sedan. Mazda decided to release photos of the latest Mazda before its public debut at the Thailand International Motor Expo 2014 next week. From design, Mazda2 sedan fed a similar design to the latest Mazda2 hatchback earlier. As we see the design of the Mazda2 sedan looks very attractive and still promoting the spirit of Kodo. 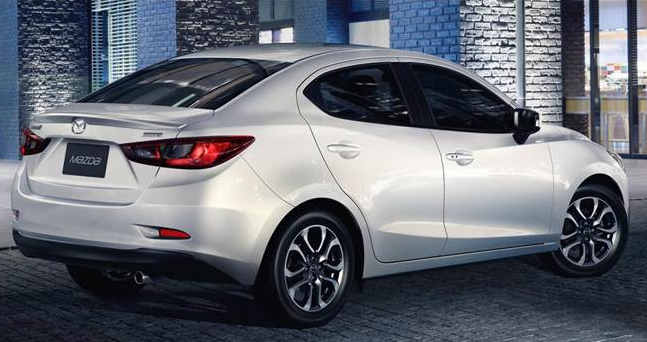 Broadly speaking, the design of the Mazda2 sedan looks like a miniaturized Mazda6. 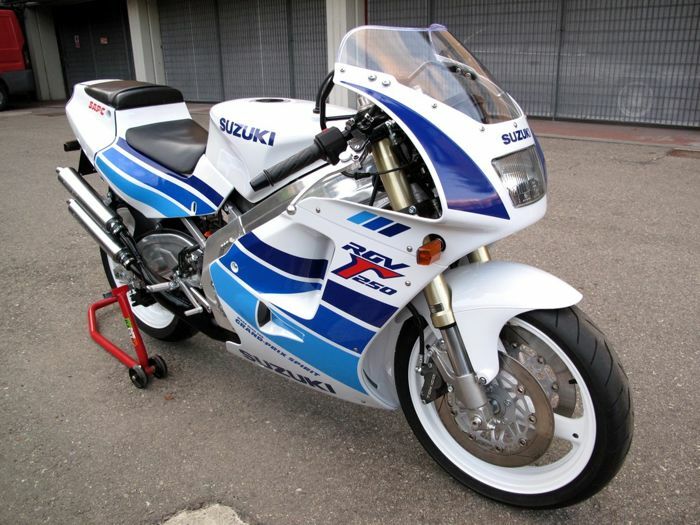 However, the proportion is maintained to remain proportional and beautiful. Not much if we see it as a small sedan with the most attractive design in its class. In the interior, the Mazda2 hatchback breath was very pronounced. 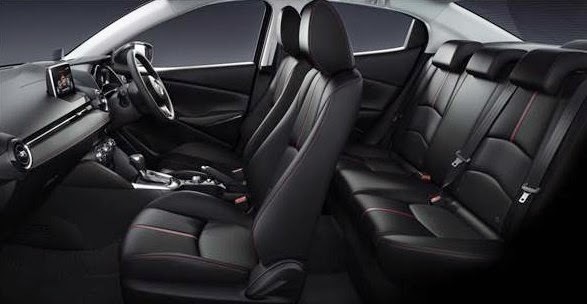 Selected cabin materials are black with a touch of red accent stitching for a more elegant impression at once sporty. Trunk of the photo, it looks great dimension. Mazda2 sedan engine using SKYACTIV-D 1.5-liter 105 hp with 220 Nm of torque. Claim fuel 24 km / liter with CO2 emissions of 89 g / km. Mazda Mazda2 sales schedule in Thailand early next year, but there will be changes to the model for the European and Australian markets. Mazda2 sedan will be sold also in Indonesia, and will deal with the Toyota Vios, Ford Fiesta sedan, and Honda City. In Indonesia, the Mazda2 sedan will use the gasoline engine similar to the Mazda2 hatchback. From specification engine, Honda City is still the most powerful in this segment.